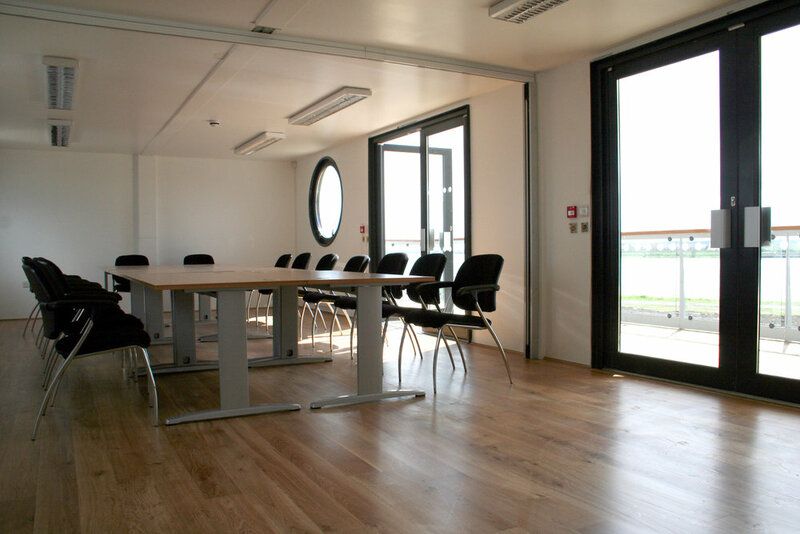 Situated on former wasteland, the new marketing suite was designed to fit within a larger community that is being developed along 2 kilometres of Thames waterfront in Barking and Dagenham. Commissioned by Barking Riverside, the project has been designed with the environment in mind. Wind turbines, solar panels, biomass heater and re-used structure ensure the projects very low carbon footprint and sustainable high performance during its life cycle.